Visit sherrodbrown.com and jimrenacci.com to volunteer. Other senate candidates include Philena Farley (G). Due to limited space, we can’t include candidates polling at less than 15%, but encourage you to check out her website. To download a printable pdf version of this guide, click here. Jim Renacci – No stand found. Did support strengthening Federal Elections Commission. Sherrod Brown – No. “Corporations are not people.” Supports amendment to overturn. Climate Change: Limit or tax production of greenhouse gases? Support US participation in Paris Climate Accord? Sherrod Brown – Yes. Supported EPA regulating greenhouse gases, said Paris Accord withdrawal would hurt OH clean-energy industries. 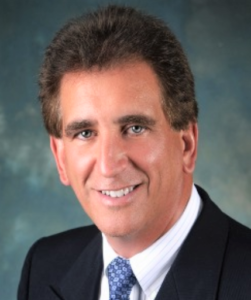 Jim Renacci – Contested. Says supports limiting greenhouse emissions if Ohio industries such as coal are not harmed. Opposed EPA regulating greenhouse gases. Supported withdrawal from Paris Accord. Courts: Support Brett Kavanaugh nomination? (Prior to recent allegations). Sherrod Brown – No. Serious concerns about rulings against women’s & consumer rights. Sherrod Brown – Yes. Introduced $30 billion loan fund to help smaller manufacturers transition to clean energy economy. Jim Renacci – Mostly no. Called Obama stimulus “a failed experiment,” though supports Trump infrastructure plan. Sherrod Brown – Yes, for protecting steelworkers, but need long-term strategy. Also tax auto company foreign profits to give $3,500 discount to US-made cars. Education: Vouchers to send children to private schools with public money? Sherrod Brown – No. Longtime opponent. Jim Renacci – Yes. Strong historical supporter. Sherrod Brown – No. Strongly opposes. Jim Renacci – Yes. Voted for bill that reduced funding. Financial Regulation: Support Trump administration’s proposed cutbacks of Consumer Financial Protection Bureau? Jim Renacci – Unclear. Sponsored bill that critics said restricted CFPB’s ability to monitor releases of personal information. Sherrod Brown – Yes. Ban assault weapons & high-capacity magazines, expand background checks & raise age to 21. Jim Renacci – No. Opposes bans on assault weapons & high capacity magazines & expanded background checks. Sherrod Brown – Support & improve ACA. “Repeal would devastate Ohio children” & reduce access to opioid treatment. Jim Renacci – Repeal ACA. Key to affordable healthcare is increasing competition, decreasing overhead. Jim Renacci – No. Supported defunding. Jim Renacci – No. Voted in 2013 to overturn DACA program interim protection of Dreamers. Now supports Trump’s approach–tying potential legalization to cuts in legal immigration & funding for border wall. Iran: Withdraw from treaty limiting Iran’s nuclear capability & lifting some sanctions? Sherrod Brown – No. Use remaining sanctions instead of unraveling agreement. Jim Renacci – Yes. Called Iran #1 state sponsor of terrorism. 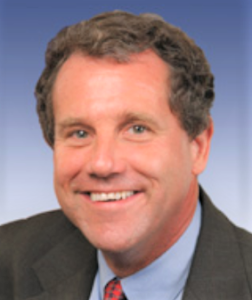 Sherrod Brown – Supports medical legalization. Wants to study how legalizing recreational works elsewhere before legalizing in Ohio. Opposes federal intervention. Jim Renacci – Opposes recreational legalization. Watch how medical implementation goes. Voted against protecting states from federal intervention. Minimum Wage: Raise the federal minimum wage from $7.25/hr? Sherrod Brown – Yes. Phase in increase to $15. Jim Renacci – Likely No. Rejected 2013 increase to $10.10. Sherrod Brown – Yes. Strong supporter. Jim Renacci – No recent statements found. Has previously opposed regulations supporting Net Neutrality. President Trump: Percentage of key votes supporting Trump’s positions. Sherrod Brown – 28% as of September. Jim Renacci – 94% as of September. Sherrod Brown – No. Strong opponent. Jim Renacci – Mixed. Supported extending renewable tax credits. Proponent of domestic fossil fuel production & opponent of EPA regulation. Student Debt: Refinance student loans at lower rates, paid for by increasing taxes on high earners (Elizabeth Warren proposal)? Sherrod Brown – Yes. Cosponsored Warren bill. Also supports Pell Grant increase. Jim Renacci – No. Supporter of student loans, but not government’s role to keep rates down. Unknown on Pell Grants, but supports tax credits for education spending. Sherrod Brown – No. Should be encouraging people. Photo-ID rules make it harder.